Something for everyone in our diverse city: the future of Asia-Canada, a book on feisty Black women, and a Canada-India-based play centered on cricket. 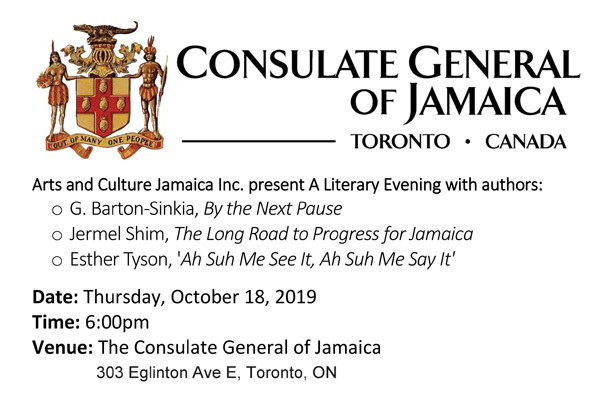 A Jamaican literary evening. A pay-what-you-can Irish play. 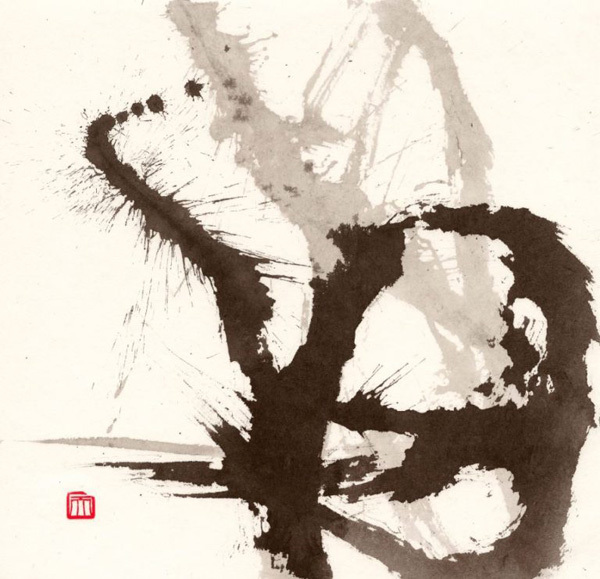 Artistic Japanese calligraphy. Opening night at our gallery of contemporary art. An Islamic heritage event at one of our largest mosques. A lecture on the Ukrainian genocide. Asia. Canada. Panel on Asian-Canadian Futures. Thursday, October 25. 4-6pm. Free. Reception to follow. Sponsors: Asian Institute, Richard Charles Lee Canada – Hong Kong Library; Richard Charles Lee Chair in Chinese Canadian Studies. The Vivian and David Campbell Conference Facility, 1 Devonshire Place (Devonshire Pl. & Hoskin Ave.) “This panel reflects on the influences of Asian-Canadian dynamics in transforming the speakers’ fields of expertise, including business and media, immigration politics, historical memory, curatorial and archival work, and university education.” https://munkschool.utoronto.ca/ai/events/ Black History. Book Launch. 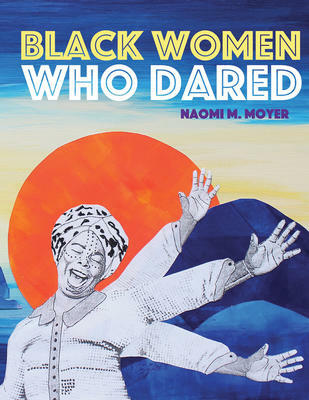 “Black Women Who Dared” by Naomi M. Moyer. Saturday, October 20. 2-5pm. Inspiring and indomitable Black women whose stories need to be told. A Different Book List, 770 Bathurst Street (at Bloor). India. Canada. The Men in White by Anosh Irani. Directed by Philip Akin. Oct. 13-17. $20. Factory Theatre, 125 Bathurst Street. https://www.factorytheatre.ca/2018-19-season/the-men-in-white. Ireland. Toronto Irish Players Fall Production of Dancing at Lughnasa. October 18. 8pm. Pay What You Can Night. $12 minimum. Play runs from October 18 to November 3 at higher prices. The Alumnae Theatre, 70 Berkeley Street. 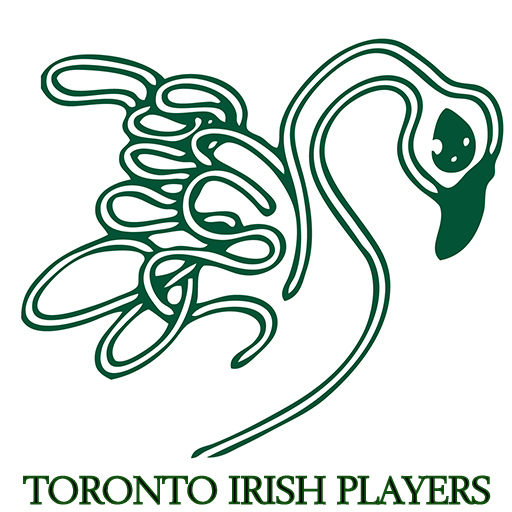 www.torontoirishplayers.com Jamaica. A Literary Evening with Authors G. Barton-Sinkia, Jermel Shim and Esther Tyson. October 18. 6pm. The Consulate General of Jamaica, 303 Eglinton Avenue East. Japan. Foundations: Calligraphy Exhibition Noriko Maeda. October 16 – January 11, 2019. Free. Japan Foundation, 2 Bloor Street East, Third floor. “…For years, Noriko Maeda’s exhibitions and classes have introduced Canadian audiences to the heartbeat of calligraphy. Her speeches and works have nurtured a vocabulary for expounding the essence of her art. Noriko Maeda Foundations is the culmination of a three-year project to capture the mature form of this vocabulary in the pages of a single book. Multicultural. Power Plant Opening Party. October 19. 8-11pm. Free. Cash bar available all evening. 231 Queen’s Quay West. “Join us to celebrate the launch of The Power Plant’s Fall 2018 Exhibition Season! 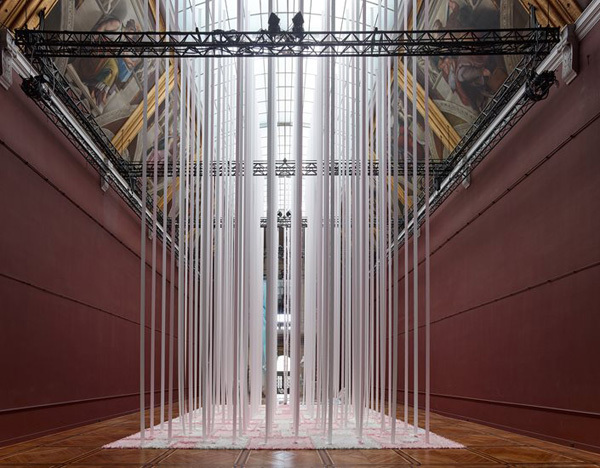 Be among the first to experience exhibitions by artists Karla Black, Beth Stuart and Vivian Suter with Elisabeth Wild, as well as the continuation of Abbas Akhavan’s variations on a landscape. Muslim. 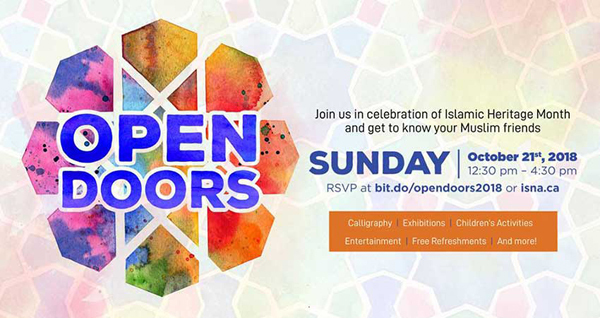 ISNA Canada Open Doors – Celebrate Islamic Heritage Month. October 21. 12:30-4:30pm. Free but please RSVP. Islamic Centre of Canada, 2200 South Sheridan Way, Mississauga. Exhibitions, calligraphy, children’s activities, entertainment, refreshments and more! http://www.torontomuslims.com/event/isna-canada-open-doors-celebrate-islamic-heritage-month. Also: Unveiling of Holodomor Memorial at Princes’ Gate, Exhibition Place. October 21. 2pm. 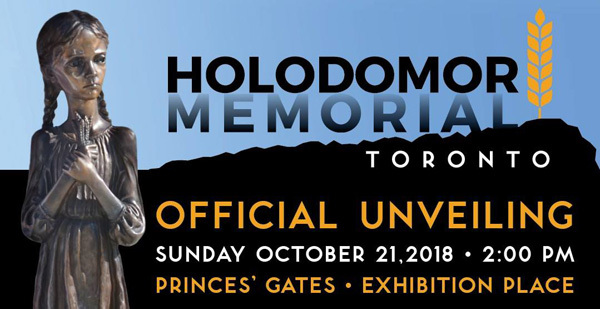 https://holomodormemorial.eventbrite.ca; Buduchnist Credit Union, 2280 Bloor St. W.; Ukrainian Credit Union, 2397 Bloor St. W., Office of the Ukrainian Canadian Congress, Toronto Branch, 145 Evans Ave., Suite 208 (tel. 416-323-4772). Note from Ruth: TorontoMulticulturalCalendar.com chooses to promote events that encourage a feeling of community in our culturally diverse city. Mention doesn’t mean endorsement as we try to include events we think readers will find stimulating in the cultures of other groups. If you go to any of our mentioned events, please send us corrections or an account of your impressions so we will know whether or not to promote these events in future. Please continue to send us posters. We don’t charge to post them and we don’t accept paid advertising. Please post comments on “Leave a Reply” below. Email us at: ruthlormalloy@gmail.com. Please subscribe to our Newsletter above. If you don’t hear from us, look into your “Junk” mail at least once a week for us there. Thanks for your interest.